Planning to spend your best kitesurf holidays in Tarifa? Look no further! 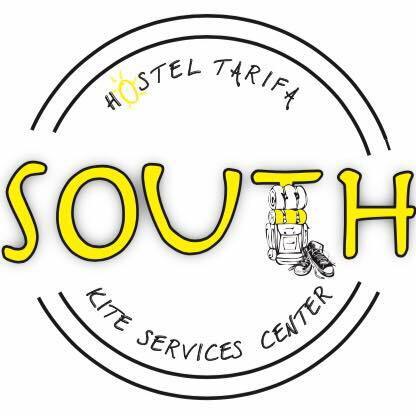 KitePassion Tarifa Kiteschool together with South Hostel Tarifa is happy to offer you kite lessons and accommodation package for a great price. If you’re staying in the town just one night, then the deal of 2 days kitesurf course and 1 night of lodging for only €170 is for you. This package includes a total of 6 hours of kitesurf lessons in a small group with all the equipment, IKO card and a certified instructor. Did we mention that breakfast is included as well? You can also choose the 3 days kitesurf course and 2 nights lodging for only €260. Staying longer? Contact us and we’ll be happy to offer you the best deal that matches your requirements. South Hostel Tarifa is only 5 minutes walking distance to the beach and it is proud to have very positive reviews from past guests. Besides, our school is conveniently located in the same building as the hostel. Private kitesurf lessons for only €55 per hour. Surf & SUP course for €25 per hour per person. Rental of the latest-generation watersports equipment, such as Eleveight Kites, ION, Alder Softboards and Fanatic. Don’t miss your chance for the perfect holiday in Tarifa!